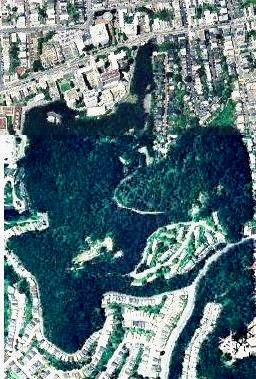 On the slopes of Mount Sutro (see map here), a 900-foot hill in San Francisco California, is a glorious historic forest that is over a hundred years old. It was planted by Adolf Sutro, one of the city’s most colorful characters, and a former Mayor of the city. 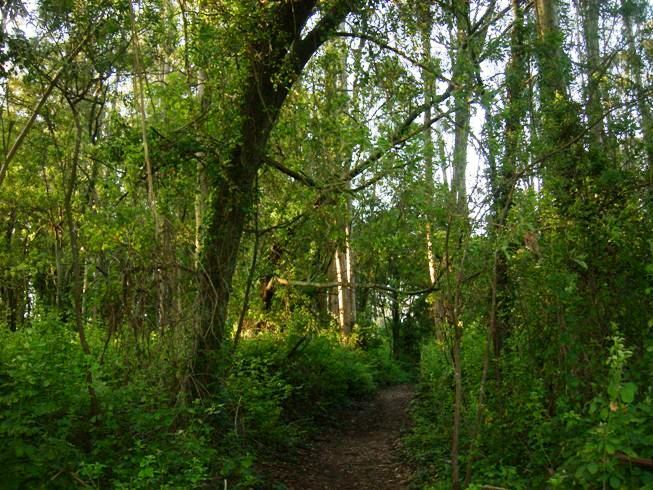 This 80-acre forest is a remnant of 1100 acres of eucalyptus that once covered most of the western side of the city. If you walk into the forest today, it doesn’t feel like you’re in the heart of the city. 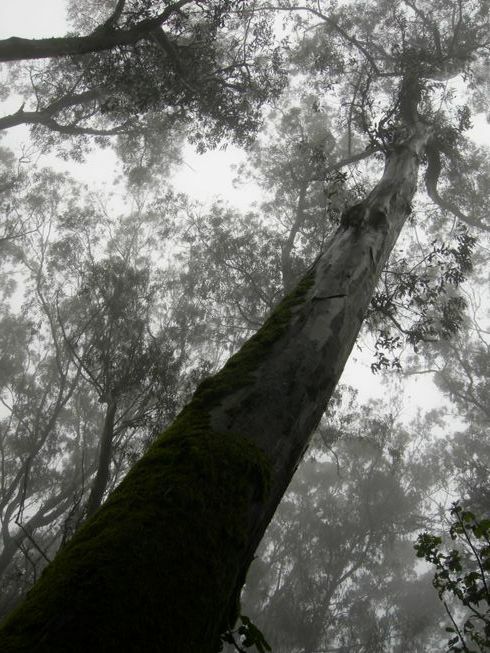 Some of the trees are 200 feet tall (nearly as tall as the redwoods of Muir Woods, where the tallest tree is 252 feet). Many are over 100 feet in height. Over forty-five species of birds frequent the woods, and its sounds are bird-twitter, the creaking of the trees, the rustling of leaves, and if you are fortunate, the hammering of the downy woodpecker or at dusk, the soft resonant hooting of the Great Horned Owl. 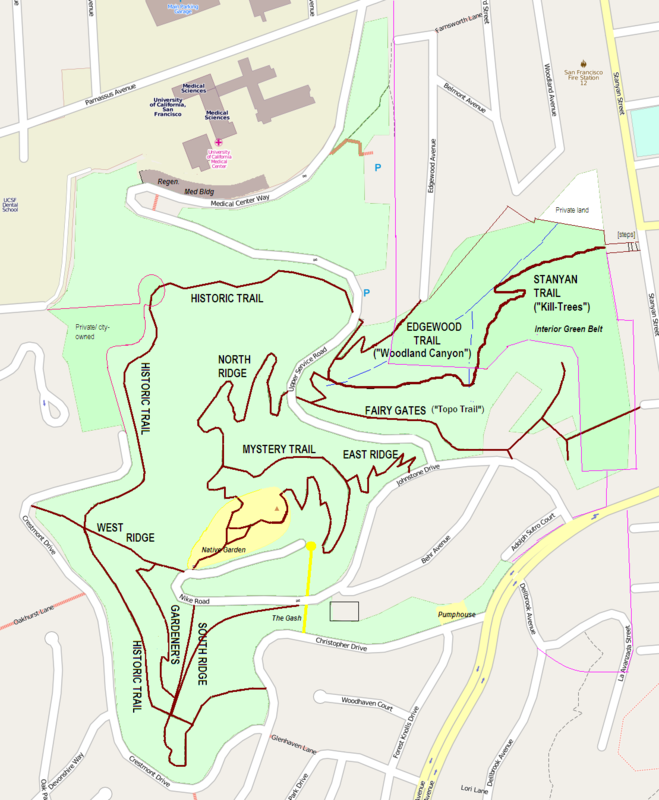 Mount Sutro Forest is bounded on the south and west by the Forest Knolls neighborhood (and Laguna Honda lake), and on the East by Cole Valley. On the northern side, UCSF has its Parnassus Campus, including the new Stem Cell Research Building, which looks like a space-ship that’s landed in the forest. UCSF student housing at Aldea San Miguel lies on the mountainside, just off Clarendon Avenue.